Hamas’ threats of a full-scale Gaza war and the scope of Israeli military reinforcements around the enclave are highly exaggerated, DEBKAfile’s military sources report. The Gaza crisis is indeed heating up, but neither side is preparing for full-scale war. This Friday, Oct. 5, IDF units guarding the Israeli-Gaza border fence were beefed up after 20,000 Palestinian rioters last week hurled an unprecedented number of explosives at the troops and arson by incendiary balloons was unabated. 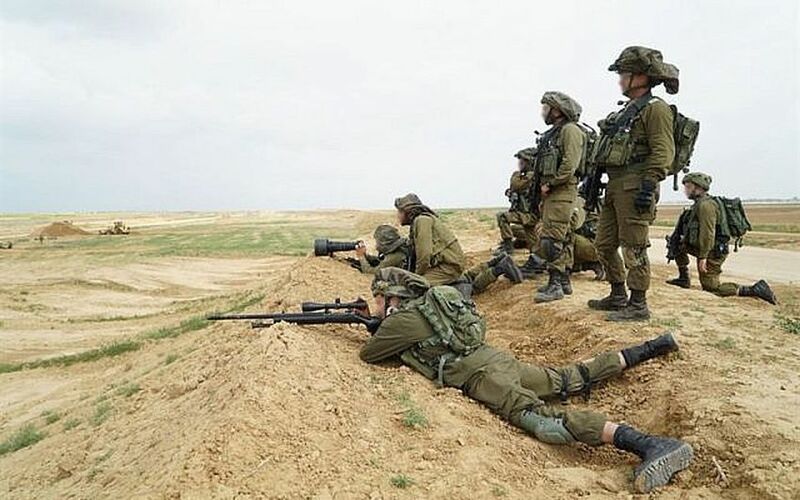 However, if the IDF does switch from the defensive stance held since Hamas outbreaks erupted in March to the offensive, it will most likely be for a surgical operation against Hamas or a fellow terrorist organization in Gaza. Hamas may come back with a rocket barrage against Israeli civilian locations. Extra Iron Dome batteries were posted on Thursday in southern Israel. Although both sides appear to be beating the drums of war, our sources have ascertained that Prime Minister Binyamin Netanyahu and IDF Chief of Staff Lt. Gen. Gady Eisenkot hold to their insistence on maintaining the status quo, however unpleasant. The Palestinian mobs must be held back from surging across the border, but Israeli troops will not be sent into the enclave for the time being; neither will targeted assassinations be resumed against Hamas’ ringleaders. Even the air force is directed to refrain from shooting directly at balloon teams and causing loss of life – only enough to scare them off. It must be said that for the past eight months, Israeli troops and their officers have been forced to operate in a nightmarish environment that no other army would accept without fighting back. Our sources report that morale in the units posted on the Gaza border has dropped as never before. Not only are they being held back, but their anger is directed against the national and military purveyors of information to the public, who carefully censoring disclosures of the reality on the ground.